Following the success of the first school and clinic in Ghunsa, Cherie Bremer-Kamp returned to Nepal in 1994 to construct another school, this time in Folay, a Tibetan refugee settlement an hour�s walk from Ghunsa. While the Ghunsa School is integrated into the Nepali education system, Folay School is for Tibetan children. Tibetans widely believe that integrating their children into the Nepal school system would jeopardize their Tibetan values and belief systems. The school is helping consolidate the Tibetan identity in the Kangchenjunga region. 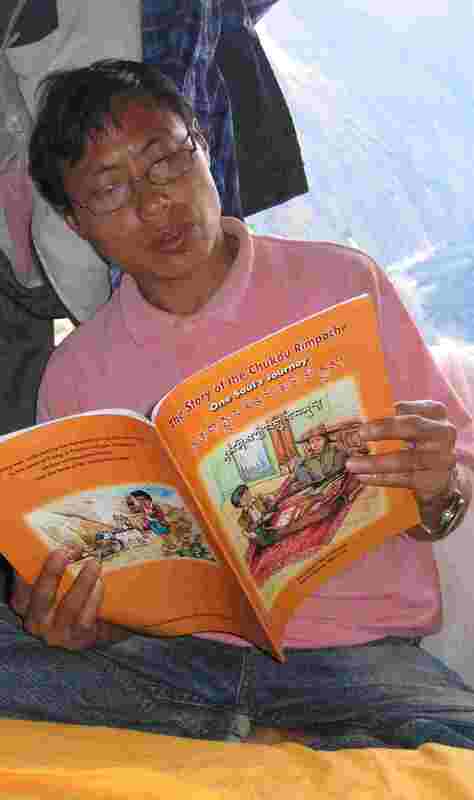 To help protect Tibetan culture further, and to provide historical text books for the school, KSP is currently publishing the stories of the Tibetan elders, before they are lost to younger generations [more]. Folay School teachers instruct in both Tibetan and English, and their salaries are paid by the Dalai Lama�s government-in-exile and its Nepali funding arm, the Snow Lion Foundation. The school caters for 22 students and boards children from outlying areas. It includes an eight-room school house. As in Ghunsa, KSP built a health clinic adjoining Folay School. A local �barefoot doctor� receives continuing training in the diagnosis and treatment of health problems and in preventative care. In the future, this clinic will work closely with the Ghunsa clinic and both will strengthen their ties to the regional health post in Lungthung, which is several days walk from Folay. This should help both clinics to serve their communities better, particularly in terms of childhood vaccination programs and birth control. Aims: To provide Tibetan education to refugee children and to help preserve Tibetan culture.